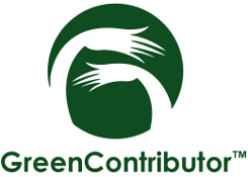 GreenContributor Inc. a Canadian-based organization has been involved in environmental and educational initiatives and also offers Global opportunities of entrepreneurship and research based programs for students, from all over the world for Universities and Business schools. Since 2010, GreenContributor has worked with over 150 schools from 29 countries and one of the highlights was partnering with University of Erlangen Nurnberg for a Climate Change Research Project as part of an initiative for the German educational system for Schools. Later on , GreenContributor expanded their programs to include students from universities including GIP credit programs for undergrad students and also providing platforms to implement & convert their ideas into reality. .
GreenContributor offers diverse programs in different fields in many countries and besides being environmental and educational, students also have opportunities for internship and entrepreneurship programs.